While we would all love to own a turntable hailing a 8.6” carbon fiber tone arm coupled with moving-magnet cartridge that will make your ears nearly bleed, the simple fact remains – we aren’t made out of money. But while vinyl may be one of the best hobbies that you ever get into, your wallet shouldn’t have to nearly suffer as much if you are just starting to dip your toes in this nostalgic format. Once you spin up your first record on any of the best budget friendly turntables that offer a sub $100 price tag, you will undoubtedly be hooked on this age-old obsession playing and collecting vinyl. Probably one of the best designed turntables on this list that competes head to head with the LP-60 is the ION Audio Max. This beautiful wood turntable is coupled with a finely crafted curved rubber-footed dust cover. The attention to details that ION Audio gives this turntable is why it’s considered to be one of the best turntables on the market for budget conscious men. Not only does it look beautiful and will lift the design aesthetics of just about any room, it also is versatile as well. Along the backside of the turntable you will find an Aux input jack for your smartphone, RCA output ports enabling you to play sound through your own speakers, along with a USB port that comes packaged with ION’s own converting/ripping software. On the front side of the turntable you will find a single port nearly hidden away beneath the wood trim that will allow you to connect your favorite pair of headphones for private or late night listening. Like many turntables reviewed, this one can play all the major record formats 33 1/3, 45, and 78 RPMs. While it doesn’t have a fully automatic tone arm, it does feature a lever that will allow you to lift up and gently place down the stylus. This will help ensure that your records are well taken care of and aren’t accidentally scratched. 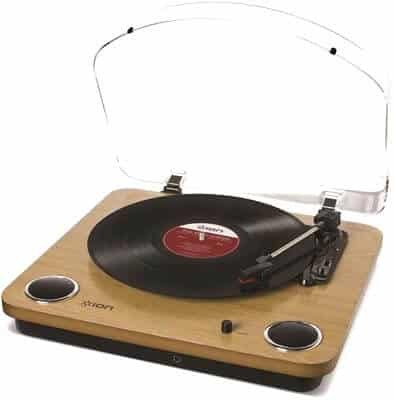 Overall this is an excellent pick for men who want to have a compact turntable that will look great in a dorm or living room. This no-frills turntable by Audio Technica is by and far one of the best budget turntables you can pick up for just under $100. With its incredibly crisp yet full-bodied sound coupled with its sleek design, it will look great on just about any desk, table, or other flat and open surface. 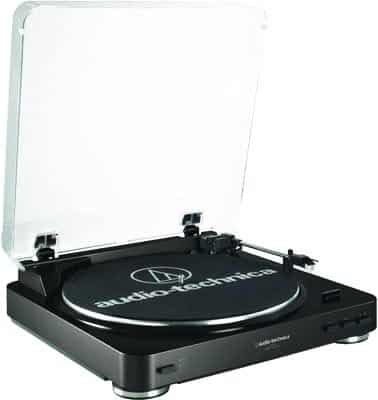 But beyond the aesthetics, this turntable by Audio Technica is capable of phono and RCA outputs making it great for just about any set up you might have (USB is available in their slightly more expensive model if you plan on ripping old records). Secondly, the tone arm (the stick that is attached to the needle/stylus) is fully automatic. 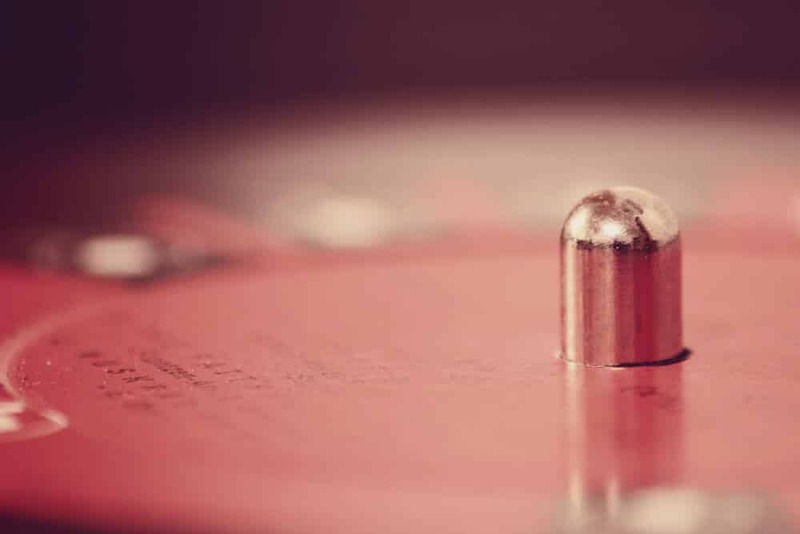 Therefore, you never have to worry about setting the needle correctly every time you put a new record on. While the audio quality may rival some of the higher end turntables on the market, there are some limitations with the AT-LP60. First and foremost, this turntable, unlike many of the others reviewed above, doesn’t have built in speakers. Therefore, if you decide to purchase this turntable, you will need to purchase complimentary powered speakers – we recommend the Audioengine A2+. 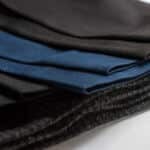 Which will significantly raise the initial investment price. If you try to repurpose a set of bookshelf speakers that don’t have a built in powered source, you won’t have any audio output unless the signal is routed through a receiver (i.e. turntable -> receiver -> speakers ). Another drawback for this turntable is that its unable to play 78RPM records – however, most music released today (and even back in the 70s) was on 45RPM or 33 1/3 RPM format – so this largely won’t be a consideration for many – however, it is worth noting. 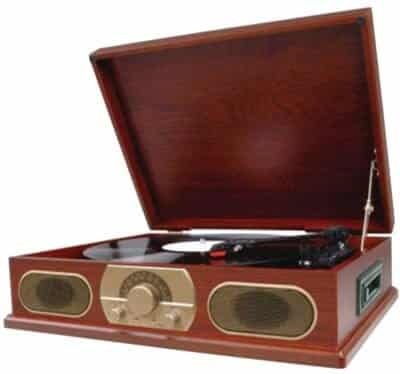 Lastly, since this record player doesn’t come in a suitcase design, its portability can be a large drawback. With no internal speakers, nor a sturdy case for portability, when you set this up you will want to keep in its place. When all is said and done, if you are an aspiring audiophile or simply one that wants to sit back and play a few records on a Friday night this the best sounding turntable that you can get for the price. Like the Spectra Studebaker, this wooden designed turntable evokes a much more antique jukebox ‘ice-cream-shop’ feel that will want you to play some old Frank Sinatra or Miles Davis records upon opening. There is one very unique aspect of this turntable that hasn’t been found in any of the others that we reviewed – and it’s the ability to rip vinyl directly onto a USB thumb drive without the need of computer. Depending on your scenario, this may be an incredibly useful feature if you plan on going through a stack of old records and ripping them. 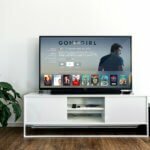 However, without the ability to name the files that are coming off the record, it will require some additional legwork once you get the files onto your computer. Another nice feature is that the speakers are front-facing, making this a terrific budget turntable for crowded environments. Somewhat similar in nature to the Crosely Executive mentioned earlier, this turntable has a dust cover that will nearly cover all of the record – but not fully. Therefore, the left edge of your vinyl will stick out ever so slightly when its spinning. This of course opens the opportunity for dust to land among the grooves that may inhibit future playback. When it comes to output, this turntable is relatively limited compared to the rest of the pack. It doesn’t have a native headphone jack, however does feature RCA outputs along the back of the case. 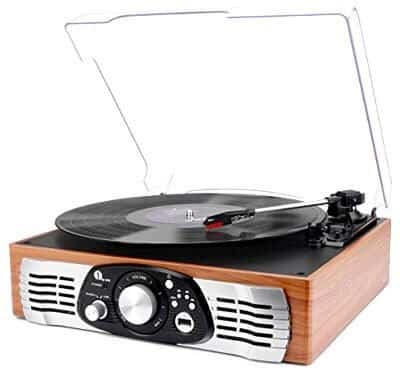 Overall, this is one of the most affordable turntables on the list making it great for men just looking to get into this relaxing hobby. If the AT-LP60 is one of the most streamlined budget turntables, then this one by Boytone has to be one of the most decked out offerings on this list (with the exception being the Victrola which we will get to in a minute). If you want the most out of your record player and plan on using this to fill the slot for a few other devices then it’s definitely worthy of your consideration. Focusing on the playback of records in particular, this turntable by Boytone can play at 33, 45, and 78 RPMs – therefore you will never have to worry about compatibility. When playing your records, you do have a few options for output. The unit itself does contain two speakers on either side, along with a headphone jack, and finally RCA output on the back. The drawbacks for this particular unit are pretty limited, namely the tone arm requires manual operation. Even though the Boytone BT-17DJB comes packed with a remote control, you will have to manually start the record yourself. Secondly, the speakers for this unit are along the side. Therefore, if you are trying to fit this in between your record collection or generally in a narrow spot, you will be blocking the speakers. The BT-17DJB does come in several different finishes including silver, black, and mahogany to fit just about any man’s design taste. Lastly, the BT-17DJS does come backed by a 1 year warranty to provide extra peace of mind when making your purchase. 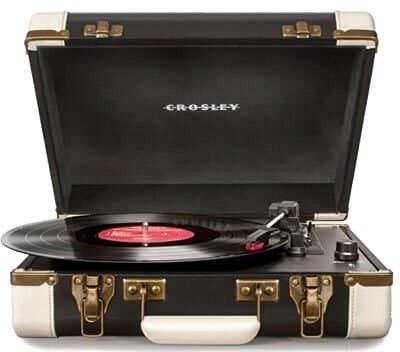 This incredibly popular turntable by Crosley is an extremely portable turntable that harkens a design of a bygone era. This suitcase wrapped vinyl casing will look extremely discrete when it’s not currently playing records and can be stored away safely unlike some of the other turntables we covered. A record player like the Crosley Executive is aimed for the casual listener that is looking to just simply play some records. Noticeably absent of AM/FM options, nor does it have an SD card input this isn’t a replacement for your entertainment center like the BT-17DJB. However, with that being said, as a record player this can play all the popular formats including 33 1/3, 45, and 78 RPMs. The Crosley Executive does provide some versatility for output including both RCA and USB options. Therefore, if you want to connect a separate set of external speakers, you have that option with this turntable. The USB output option will be best for those looking to rip some audio off of rare vinyl that you simply can’t find on platforms like Spotify or Apple Music. The biggest gripes about this record player that many audiophiles have mentioned is the lack of a fully automatic tone arm. Unlike the Audio Technica LP-60, you will be responsible for placing it back in its resting place at the end of every record. Overall though, with its built-in speakers and belt driven platter, this is a great budget record player for the beginners. 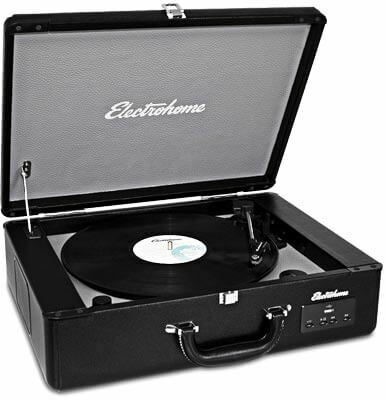 The Johnny Cash of turntables, this fully dressed in black offering by Electrohome is an uncompromising turntable that will have you wanting to play some Folsom Prison Blues. Packed in a sturdy 17.9 lb suitcase, this record player commands attention when placed in a room, and will likely find a surface and not move once its placed. While this might be a very 1960s design style on the outside, packed on the inside is some great technology that will make you fall in love with music all over again. First and foremost, on the record player side, this is a belt driven turntable that comes with a partially automatic tone arm. When placing the stylus, this has a lever that is very similar to the one found in the ION Max, and should allow for careful handling of your records. Once the record is done, the tone arm will automatically return to its cradle to prevent any future damage to the diamond tipped stylus or record. For playback, the Electrohome can play all popular formats including 33 1/3, 45, and 78 RPMs. Also, this turntable does allow for both USB and aux inputs making it fully compatible with your smartphone when you want to jam out to your favorite Spotify playlist. One major drawback for this turntable is the lack of RCA output ports. However, it is worth noting that it does include a headphone output for private listening, or through the use of adapters, can make it connect to another audio device. Like the Boytone BT-17DJS and Jensen JTA-230, the Electrohome has speakers that will be found along the sides of the case. It’s a great beginner record player with relatively limited options. However, given its sturdy suitcase design, it should be able to last you years. If the Audio Technical LP-60 and Boytone BT-17DJS got together, this turntable by Jensen would be the love child. Evoking many of the same similarities between both the turntables mentioned above, the JTA-230 can play 33 1/3, 45, and 78 RPM records like the Boytone, while also having a dust cover found in both the LP-60 and BT-17DJS. A unique feature to the JTA-230 though is its ability to alter both the tone and pitch of the records, which is typically a feature that is reserved for the higher end (and in some cases) direct drive turntables on the market. Another aspect of this turntable that mimics the BT-17DJS is that the speakers for the unit are located on the side. Therefore, many of the same drawbacks of tight spaces will ring true for the JTA-230 as they did in the BT-17DJS. 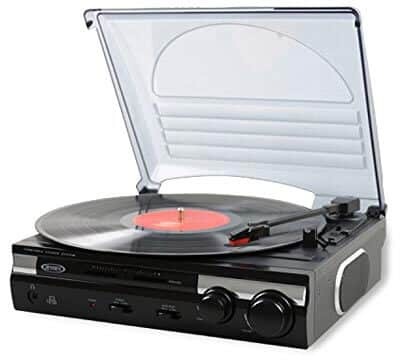 When you are taking a break from your vinyl collection, this turntable can also play audio via the headphone jack that is placed on the front of the unit. 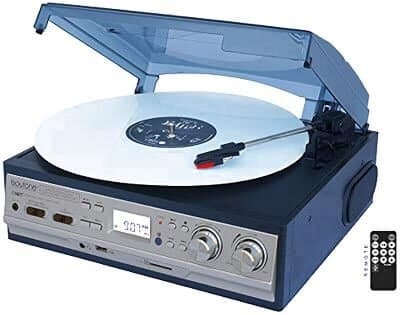 Lastly, like the Crosley reviewed above, the JTA-230 has a USB port on the back allowing you to rip your favorite tracks directly with any Windows or Mac computer. To provide an extra level of peace of mind, this product is backed by a 90 day warranty from Jensen. Fitting enough to be in your grandparents or great-grandparents living room, this turntable from Studebaker brings out the best in antique design. Housed within a wooden case and gold trim, this belt driven turntable is capable of not only playing 33 1/3, and 45 RPM records, but also 78 RPMs as well. It’s manual operation of the tone arm should be easy to use in order to fully enjoy the rich sound that the vinyl will deliver. Unlike the BT-17DJB that had the speakers along the side of the unit, the Spectra Studebaker smartly places the speakers along the front of the unit making incredibly more versatile when placing within cabinets, shelving, or other areas that may be a bit more cramped of space. When you are spinning your favorite vinyl, this unit also doubles as a AM/FM radio, which can be great for listening to NPR before you head out the door in the morning. The Studebaker also houses a cassette player as well. Another nice feature of this turntable is that it has RCA outputs along the back enabling you to hook up your own speakers should you look for a richer or more amplified listening environment. The Rolls Royce on our list of budget turntables is without a doubt the Victrola 6-in-1 Classic Turntable. This turntable by Victrola has it all. First on the playback options, you can spin any of the popular record formats including 33 1/3, 45, and 78 RPMs. But once you take a break from your records, you can switch over to AM/FM radio to catch the news. Once done listening to the radio, you have the option to play your favorite playlist whether it’s on iTunes, Google Play, or Spotify through the use of a Aux line, or if you have a iPhone 7 (or any other type of smartphone), you can also connect to this unit via a Bluetooth connection. To further add to the versatility of the Victrola, you can also play any CDs that you have lying around the house. Oh, and this baby can play cassettes too! I think the only format not compatible with this player is the 8-track! Basically, for the Victrola, this reaches far beyond the use of a turntable and is a great budget entertainment unit as well. 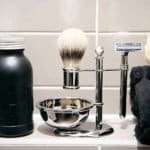 With it’s beautiful wooden enclosure, it will be great for men looking to add to that classic design sense that they would have found in their grandfather’s house. For its turntable specific features, it does only have a manual tone arm. Unfortunately, it doesn’t feature an automatic return, so you will have to be sure that you keep a keen eye on the records when playing through your collection. 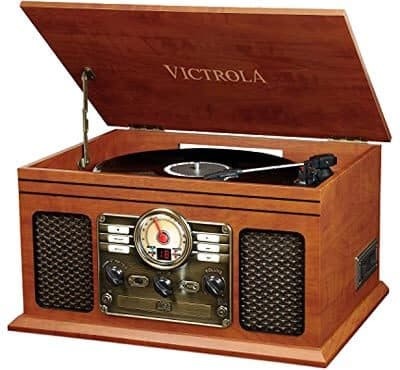 Overall, if you are looking for versatility and enjoy classic but antique design aesthetics, then you simply can’t go wrong with the Victrola. When you start hearing terms like torque, platter, and stylus when researching turntables, you will start to wonder if you are researching cars, computers, or food choices. To make the record spin, you have two types of turntables, direct drive and belt drive options. Of the two, belt drive will be found in all the best budget turntables under $100 that we present above. To move the platter (the area where your record rests), a belt drive will have literally a rubber belt wrapped around the base of platter that is then wrapped around a pin that is affixed to a motor. When the motor kicks up, it will then power the belt to spin the platter to the desired RPM (i.e. 33 1/3, 45, or 78). 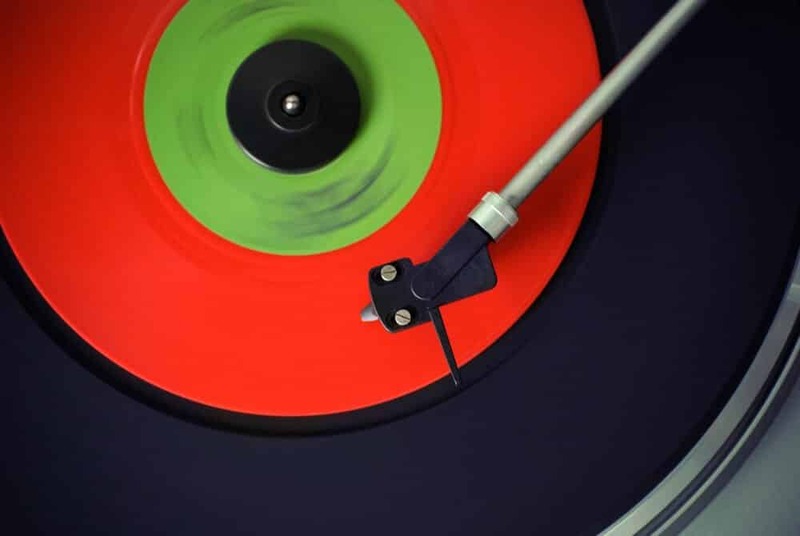 Purists out there will feel that belt drives aren’t perfect since the stylus weight on the record may alter the rich sound that is emitted from the record along with slightly inconsistent speeds. Contrary, belt drive records do of course have their advantage in that the drive isn’t directly affixed to the platter and is separated by a belt, reducing the occurrence of vibration given off by the motor that may affect the playback of the record itself. However, with that being said about belt drives, direct drive turntables are considered to be more versatile and generally better. Unlike the belt drive with the motor separate from the platter, direct drive is affixed to the platter and will leave very little room for variation when it comes to motor speed and stylus weight impact. Secondly, and perhaps most importantly, is the ability for direct drive to handle complete slow down and reversal of the platter while its playing. If you ever wanted to get that signature record scratch (*freeze frame*) sound, then you need a direct drive turntable – attempting this on a belt drive turntable will likely scratch the record or pop the belt. While the focus of this article is on budget friendly turntables, if you do ever want to play around with mixing, then we would recommend this direct drive turntable (caution its more than $100). While it might harken back to your AV days of configuring your game console to work at your grandma’s outdated TV when you visited, it’s important to take note of what output your record is capable of. 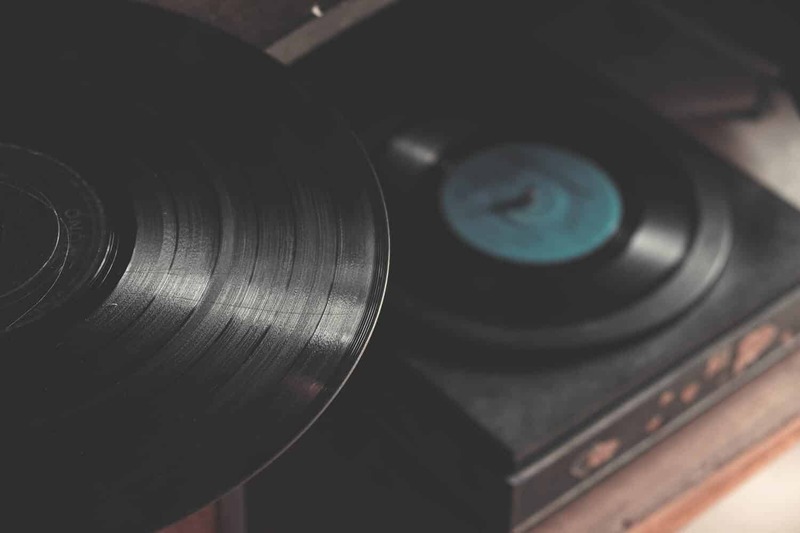 But don’t fret too much, with the use of adapters, you should be able to get the analog audio out from your record player and into any audio device. While USB is prevalent in just about any device, when it comes to turntables there is really not a huge reason for it other than ripping audio. USB is a digital signal, turntables by their very nature are analog devices. To convert a signal from analog to digital, there will be some loss of quality along the way. Therefore, when listening to your records, you will likely use either RCA or the headphone jack for the best quality and ultimate listening experience. 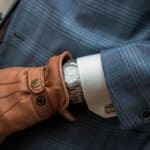 Tone arms like a motor drive will largely fall into two categories, manual or automatic. This simply means that for an automatic turntable like the Audio Technical AT-LP60, you can simply press a button on the front of the player and the tone arm will automatically move and drop the stylus at the beginning of the record. Automatic tone arms are incredibly safe to use on old records and are a preferred way to keep your hands off your records as much as possible in order to preserve the sound for the long term. 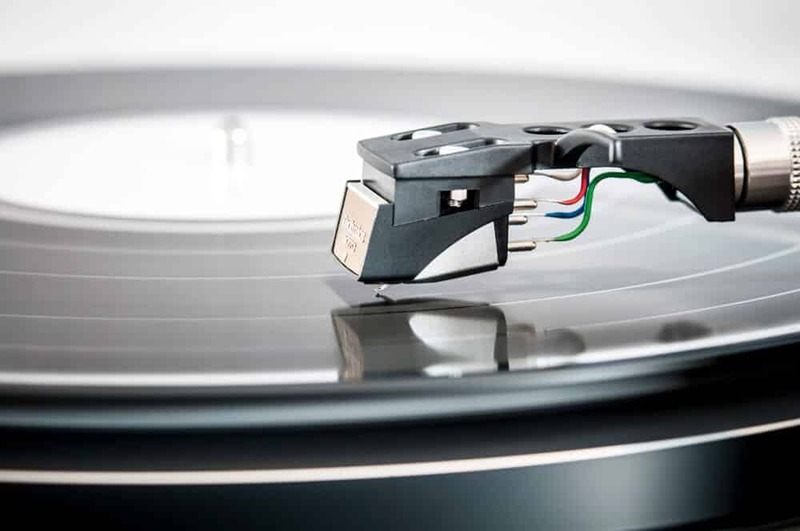 Manual operation just simply means that in order to start playing music you will need to pick up the tone arm and set it down at the beginning of the record. If you drop it too far towards the center of the record, the music will instantly start playing which can be annoying for some. However with that being said, manual operation is pretty easy and you will have it down in a matter of minutes. There are some turntables like the ION Audio Max or the Crosley CR6019A-BK Executive Portable USB Turntable that feature a lever to assist in the manual operation. Lastly, some turntables like the Electrohome, do offer an automatic return that will place the tone arm back on the holder once the record has finished. Most new belt drive record players will have what’s called a ‘pre amp’ built into the casing. A pre amp will convert a signal from a phono signal which the record player naturally outputs, to one that is able to be understood by speakers. Now this shouldn’t be confused with an ‘amplifier’, when connecting speakers to your turntable, depending on the turntable you select you may or may not need powered speakers. So be sure to do your research. 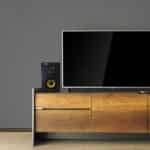 If you do end up needing powered speakers, I highly recommend the Audioengine A2+ Powered Speakers as they sound phenomenal and can fill a whole room. Now some record players, like the Crosley CR8005D-TU Cruiser has built in speakers so you never have to think about the technicalities in selecting a record player and are very budget friendly.